Following the successful PCS Auction conducted by the US Federal Communications Commission in 1994, auctions have replaced traditional ways of allocating valuable radio spectrum, a key resource for any mobile telecommunications operator. Spectrum auctions have raised billions of dollars worldwide and have become a role model for market-based approaches in the public and private sectors. The design of spectrum auctions is a central application of game theory and auction theory due to its importance in industry and the theoretical challenges it presents. Several auction formats have been developed with different properties addressing fundamental questions about efficiently selling multiple objects to a group of buyers. 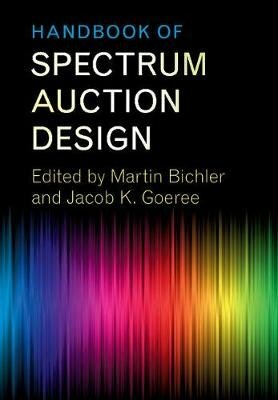 This comprehensive handbook features classic papers and new contributions by international experts on all aspects of spectrum auction design, including pros and cons of different auctions and lessons learned from theory, experiments, and the field, providing a valuable resource for regulators, telecommunications professionals, consultants, and researchers.